This piece is constructed with hand dyed silk with a silver warp. 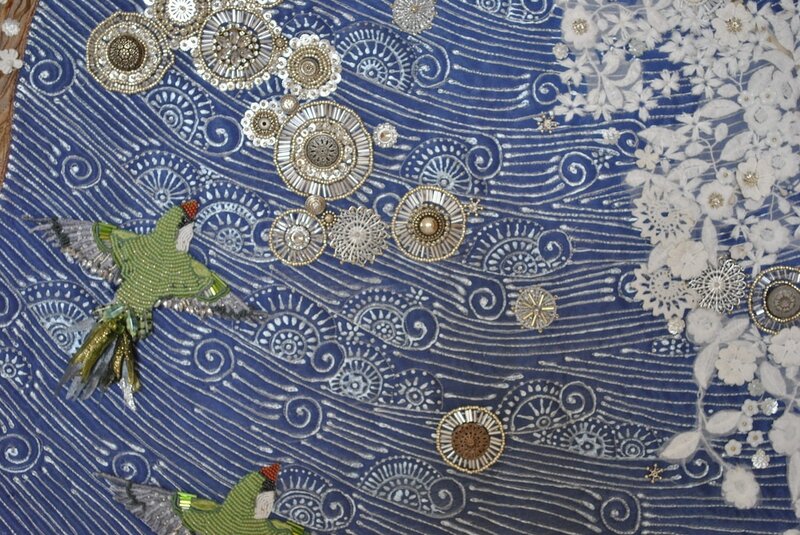 The silk is hand painted with a wind motif. The blossoms are a combination of hand beading, rick rack vintage lace, venetian lace, and hand embroidery. The piece is hand beaded. The birds are hand beaded and embellished.